Being in my late 20's, anti-aging products are a huge part of my skincare routine in helping to slightly delay the aging process and combat those fine lines that are beginning to peek through (especially around the eyes). We've all gotten sucked in by those anti-aging creams and serums that claim to perform all kinds of miracles on the skin, but they just end being a total waste of money. 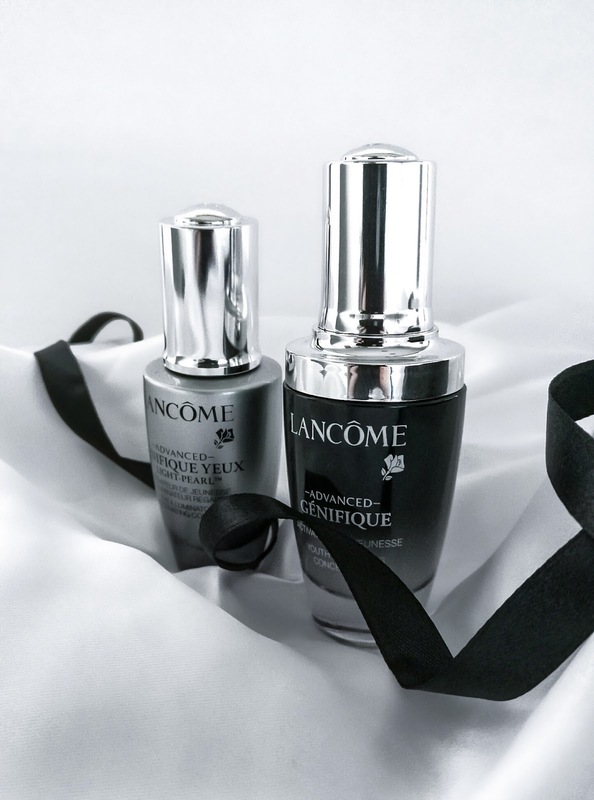 For the past few weeks I have put these two Lancôme products from their Advanced Génifique range to the test, so today I'll be sharing with you my overall thoughts and why I think they are a must-try. The packaging is absolutely stunning - it would have to be without a doubt the prettiest and most luxe looking serum I own. 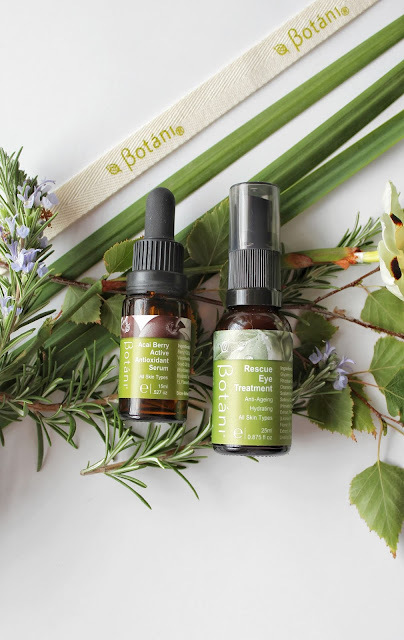 It comes in a lovely glass bottle with a dropper to dispense the product and you only need about 1-2 drops for your face as well as your neck. The consistency isn't too thin where it's just running down your fingers, and it almost feels like water so it's extremely lightweight on the skin. It only takes moments to absorb and it leaves my skin feeling so smooth and hydrated (not tacky or greasy). 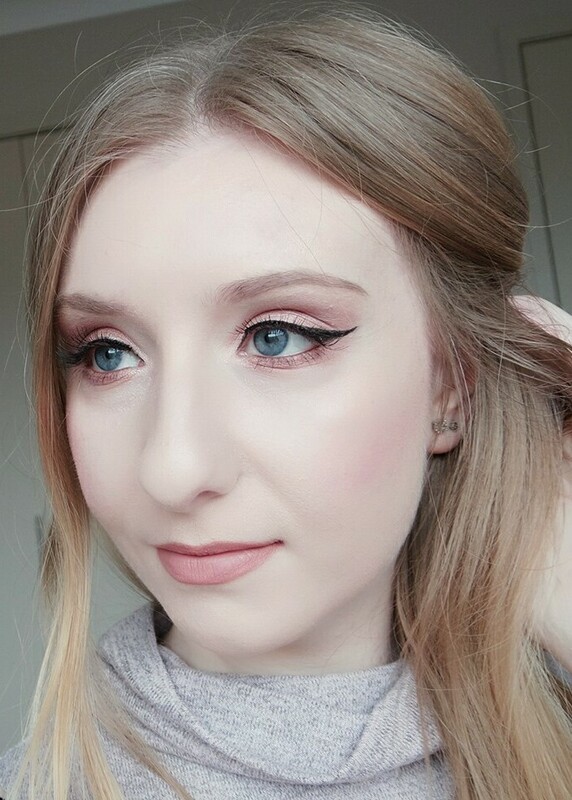 After only using it for a few days (day and night) I noticed that my complexion looked brighter and more youthful which is pretty amazing if you ask me! I am loving the results thus far and although it is quite pricey, I definitely think it's worth trying for yourself. 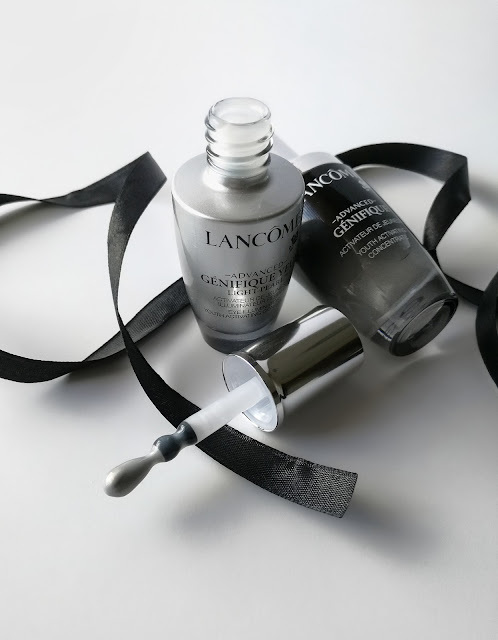 I have been on a lengthy search for an anti-aging eye product that I can't live without, and this particular one comes pretty damn close! The formula has very fine shimmery particles throughout and once applied under the eye area, you instantly look brighter and more wide awake like you had a good restful sleep. Not only that, but it helps to re-hydrate and smooth out those fine lines around the eyes which also provides a really great base for your concealer. Just like the Youth Activating Concentrate, the texture is very lightweight so it doesn't leave any sort of residue behind. A pea size amount is more than enough to cover both under eyes and I like to apply it by doing small circular motions until absorbed. If this can give me long term results then I would be one happy lady, because so far I'm very impressed! All in all, I think both products are truly amazing and I noticed results within the first few days of use which doesn't happen often with anti-aging products. I will admit I was skeptical at first but I was pleasantly surprised by how effective they are. I just love how lightweight the formulas are and I'm certain my oily skin loves that too! They're hydrating and make my skin feel incredibly smooth and plump. If you're concerned about fine lines/wrinkles, I highly recommend giving this range a try. They are on the pricey side, however if you're going to splurge I think skincare is always worth it. 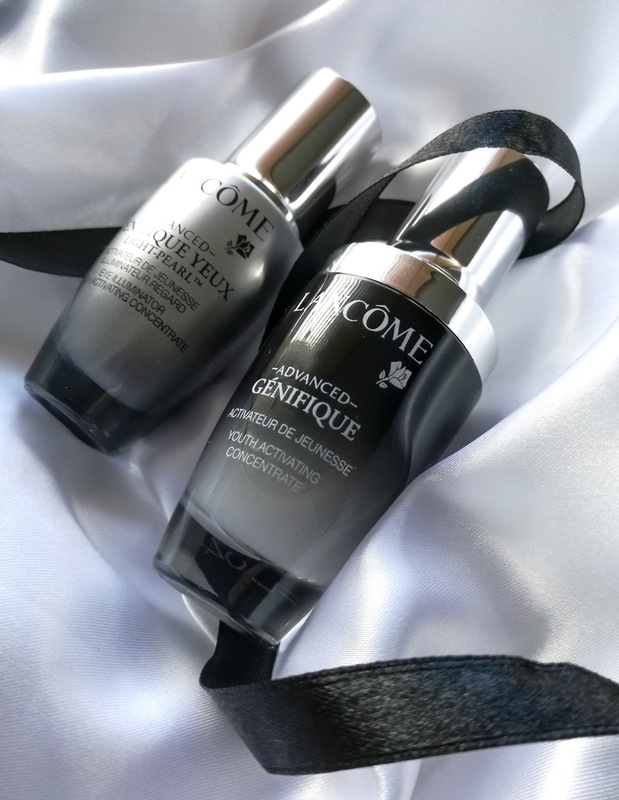 What are your thoughts on the Advanced Génifique range?